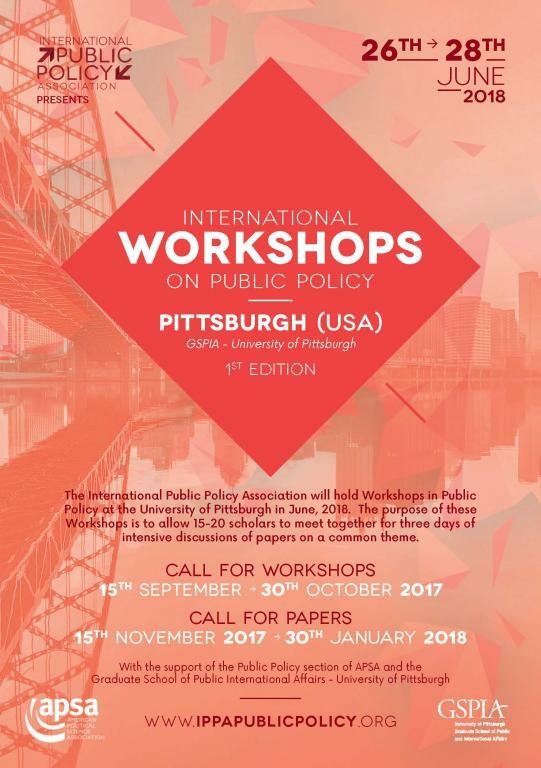 The International Public Policy Association will hold an International Workshops on Public Policy at the University of Pittsburgh from 26th to 28th June 2018. 20 parallel workshops will be held over three days in an attempt to provide an appropriate platform for intense discussions on specific research questions. The full program of workshops and social events is now available online.